Sources told NFL Network and ESPN Tuesday that Cousins will sign a three-year, fully-guaranteed contract with the NFC North franchise. NFL Network reported that the deal is for $86 million. Cousins’ new contract cannot become official until Wednesday, when the NFL’s free agency period begins. Sources told ESPN that he plans to sign the pact on Thursday. The 29-year-old quarterback was one of the top targets in free agency for several teams. He completed 64.3 percent of his passes for 4,093 yards, 27 touchdowns and 13 interceptions last season for the Washington Redskins. Cousins was a fourth-round pick by the Redskins in the 2012 NFL Draft. He made his first Pro Bowl in 2016, after completing 67 percent of his throws for a career-best 4,917 yards, 25 scores and 12 interceptions, while posting an 8-7-1 record as a starter in Washington. 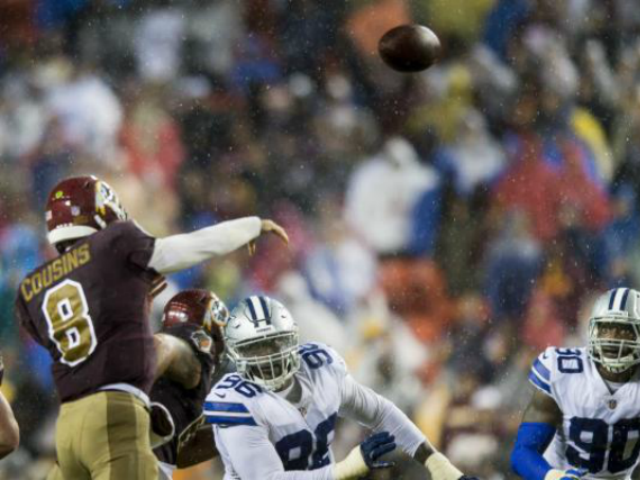 Cousins led the NFL, completing 69.8 percent of his throws during the 2015 season. The Michigan State product raked in more than $45 million in career earnings before hitting free agency this offseason. He will be the NFL’s highest-paid quarterback, based on average salary. The Arizona Cardinals, Denver Broncos and New York Jets were also in the mix for Cousins’ services. Case Keenum — who quarterbacked the Vikings to an NFC North title in 2017 — is set to sign with the Broncos in free agency. Keenum’s deal is expected to be for two years and at least $36 million, according to 9News Denver. The Redskins traded for Kansas City Chiefs quarterback Alex Smith in January, putting the wheels in motion for Cousins’ departure.